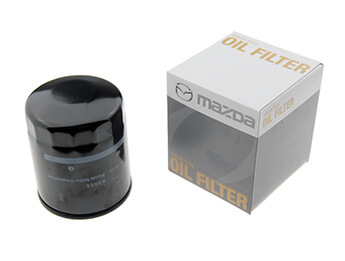 Excellent deliver, unfortunately the filter was wrongly supplied as Mazda Part SH01-14-302A. According to Mazda and the owners club forum this has been replaced by LF10-14-302A-9B and should not be fitted. Editors Note: We are aware of the bulletin, however are awaiting further clarification from Mazda. The filter that bulletin refers to are European made, which is denoted by the 9A or 9B on the end of the part number. The ones we supply are the original ones directly from Japan and it would seem they haven\'t issued the same bulletin. At this stage we can only surmise that the issue lies with the way the European filters were made, but that is the bit that Mazda technical are investigating. Really happy with my filter received. Can you tell me if Mazda ever completed their investigation regarding the different product codes mentioned in .. Excellent deliver, unfortunately the filter was wrongly supplied as Mazda Part SH01-14-302A. According to Mazda and the owners club forum this has bee..